Compliling the BT 500 list was a fascinating journey. It revealed which companies navigated the difficult terrain better than others. Adversity brings out the best in champions. Indeed, the last one year has been fairly challenging for corporate India with the economic slowdown, a stubbornly high inflation and, as a consequence, high interest rates. However, tough times also separate the men from the boys. That is why compiling the BT 500 list was a fascinating journey. It revealed which companies navigated the difficult terrain better than others. True, it has been a heady year for the Indian stock markets. The resurgence of a Narendra Modi-led NDA kept the markets in good cheer this year. The benchmark Sensex touched an all-time high this September and is still flirting with 26,000 to 27,000 levels. The market capitalisation of most companies has surged. That is why we look beyond the valuations and also focus on the actual performance of companies on key parameters. Indeed, in the 23rd edition of the BT 500 rankings, the companies were put through a rigorous process of evaluation. There has been no change in the methodology this year. Only listed companies were ranked on the basis of their six-month average market capitalisation. Additionally, the companies were also ranked on the basis of other financial parameters and their performance compared with the previous year. For data crunching we used Prowess, the Centre for Monitoring Indian Economy's corporate database. A total of 5,312 companies listed on the Bombay Stock Exchange and National Stock Exchange were considered as our primary universe. The six-month average market capitalisation between April and September 2014 was considered for all these companies. Further, to weed out illiquid companies, stocks that traded for less than 20 per cent of the total number of trading days (123) between April 1 and September 30, 2014, were not considered. 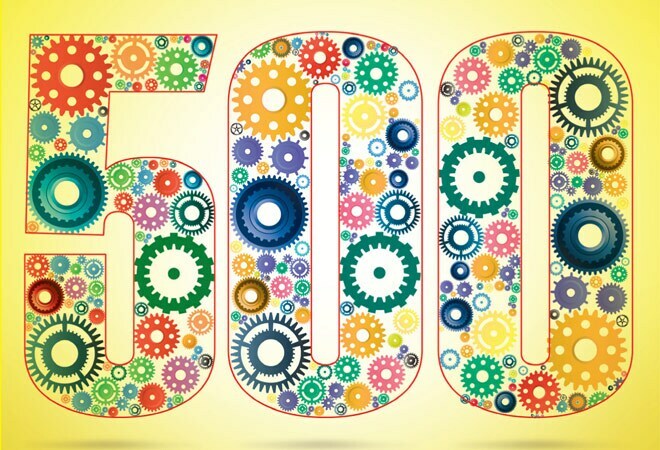 Finally, 3,503 companies qualified for the rankings and from that list we picked the top 1,000. The market capitalisation of a company which mirrors the investors' sentiments was the primary filter for ranking the companies. However, to delve deeper, other financial information was also provided and companies were ranked separately on different parameters. We chose Total Assets, Total Income, Net Profit, profit as percentage of total income, Return on Net Worth, Return on Capital Employed, and Earnings Per Share to gauge the performance of companies. The financial year ended March 2014 was considered for all the financial parameters used. In case of exceptions, footnotes have been specified. Only standalone numbers were taken into account for all the ranked companies.